Balancing On My Toes: BIG news! Guess what?! Today we found out that we were accepted for the apartment we applied for last week! That means we will be moving sometime in the next few weeks! It's so exciting but daunting at the same time to think about everything that still needs to be packed and sorted through. I've packed a ton already but there is still so much to do! I will be doing an empties post before I move because I'm certainly not moving a bag full of empty products to the new place! Don't worry I'll definitely be taking you along on this adventure! Katie and Isabella came to visit me at work! Brittni's sister Katie came to visit me at work yesterday and it was so nice to see little Isabella! She is two weeks old and looks so different then when I first met her! It was a nice surprise that definitely brightened my afternoon. I really enjoyed using Snapchat with her! 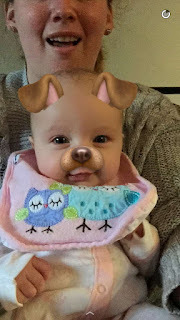 Look what a cute puppy she makes! We had so much fun spending time over there. It's so cool to see how much she changes each time we see her. I love being able to watch her grow up! 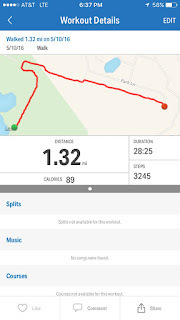 Tonight after work we headed back to Ninigret Park to try one of the other trails we had seen on Sunday. 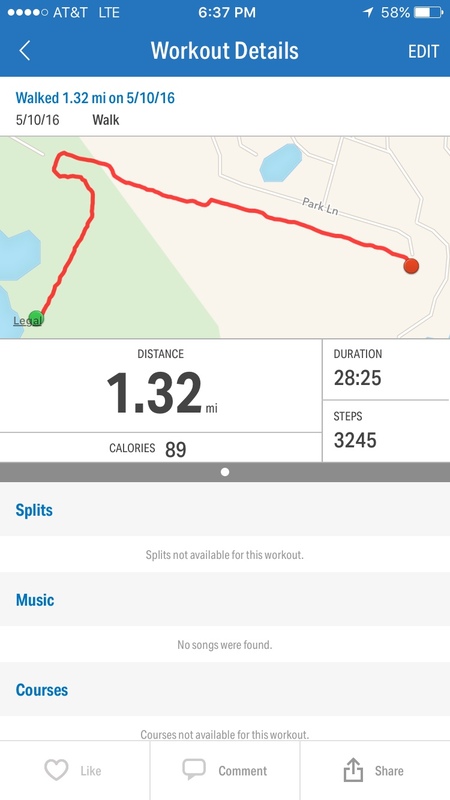 I ended up tracking when we were about almost halfway done, so we probably walked closer to 2.5 miles or more by the end of our walk. It was so nice to stretch our legs after a long day at the office! Now it's time to do some relaxing before bed! Goodnight everyone!